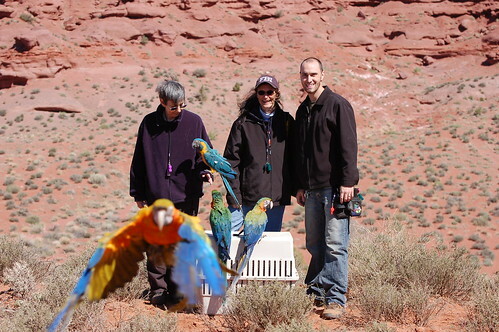 In the many years that I have had parrots, there have been a lot of changes in my life. Things and people come and go, but the biggest changes have been within me. My parrots have brought qualities up to the surface that I didn’t even know existed. For little things, they sure can leave a huge crater of an impact. My parrots eat well, or I should say I feed them well. They don’t always eat what I give them. Years ago, when I first started going to the locally owned organic food mart in town, I’d go through the check out with my organic veggies, quality grains, sprouts etc, and the cashiers would remark about my wonderful diet. One day, I finally admitted that all the good stuff was for my birds, the chocolate, the coffee and the ice cream were for me. She looked disappointed, but pointed out that the coffee was, in fact, organic. I was foraging for food in the kitchen one day, and had turned up very little. It was basically between vegetables and pellets. I thought long and hard and went with the veggies. This was the first meal in a long time that didn’t involve the grill at 7/11. It felt right. I went on to improve my diet alongside that of my parrots. I still indulge in chocolate and ice cream and I don’t feel even a little bad about it. After enduring the occasional brain searing screams of cockatoos for so many years, I have learned to understand and accept that this is the way of parrots. Once you learn this, the noise level becomes less of an annoyance and more the racket of happy, healthy birds. In fact, quiet is alarming to me now. Another explanation for my tolerance might be that I have become partially deaf. As birds will be birds, they get into, chew on and walk through anything that is in their path. With toddlers, you can raise your valuables up to a higher shelf, but toddlers don’t have wings. I have always wanted to know a little about everything. I make it my business to know everything I can think of to learn about parrots. I spend so much time on line googling this and that, that I have to remind myself to eat sometimes. 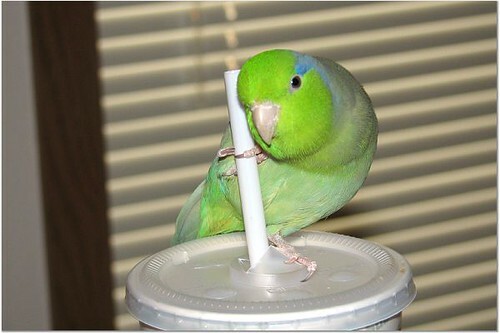 I research everything that might, in some roundabout way, impact my life with my parrots, like how the jute rope I’m interested in buying to make a climbing net might have been sprayed with pesticides in the cargo hold of the ship in its export from India. This is valuable knowledge, but sometimes I just learn about new things to worry about. This is related to #3, but not because I stay up all night worrying. Long after I’ve spent quality time with all of my birds, I am up late googling or chatting with bird friends like the nerd I have become. However I might justify my late hours, birds are early risers. I have two alarm clocks, one is plugged in by my bed and the other is in a cage in the living room. If the first one fails, the second definitely will not. Linus does not have a snooze button. 5. Deeper respect for nature. Since I spend so much time studying about my parrots wild cousins and their environments, I have learned a lot about the fragility of nature. I have a much more profound understanding of how all things are tied together and how an imbalance in one area might affect the well being of an another. I used to feel that all insects were put on this earth to annoy me. Normally, if a bug were to fly into my house, I would grab a hammer, pursue it, corner it, and conquer it. Lately, I grab a glass and a piece of paper, trap the bug under the glass, slide the paper beneath the bug and release it back into the wild. If the bug were to turn around and fly back into the house, I can’t guarantee the same compassion the second time around. I can see now where the hammer might be a little over the top, though. 6. Needing to give back. There are people out there who, through great personal sacrifice, have dedicated their lives to the betterment of parrots. People who run rescues and sanctuaries will never become rich from their efforts. 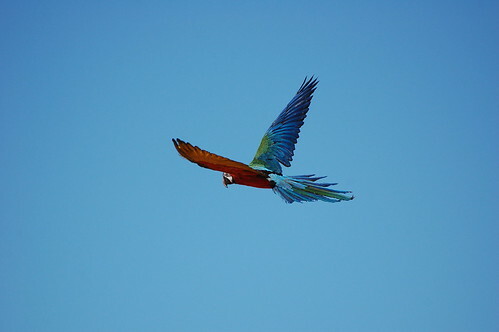 They are in a constant state of flux with parrots coming in and going out, and financing is always uncertain. It’s a lot of pressure. They survive on a daily basis from the help they get from volunteers. Imagine cage cleaning for 40 birds. I try to help out when and wherever I can. 7. More careful about money. Keeping parrots is expensive. I don’t know how many times I have spent $50 on a toys that lasted 3 days. Toys are for destroying, but they are harsh on the budget. When you have parrots, especially large ones, you devise fiendishly clever ways to bring down expenses. It surprises me how little importance I place on life’s luxuries now that I have parrots. I feel like a kid at Christmas time when I place an on line order for foraging toys. 8. Planning for the future. I know I will not live forever. In fact, there is a good possibility that a couple of my parrots may outlive me. So, I made a will that, among other things, gives explicit instructions as to the placement of my parrots. I wrote a detailed outline on each bird, giving as much background on them as I have, likes/dislikes, personality description, any relative information that might assist in their care and where to obtain their veterinary records. I upped my life insurance with my daughter as the beneficiary. She understands that a portion of this is to go to safely shipping the birds to their destination. I have made friends with some really cool people in the avian community. Not only are we there to support each other when a parrot related problem arises, but we are there for each other offering help and emotional support in any crisis. I wouldn’t have these people in my life if not for the parrots. When I want to load up the birds and drive them to the nearest rescue, I know someone will talk me down. 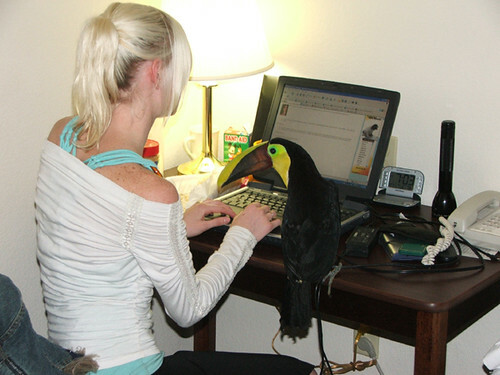 When they first drafted HR 669, which would not only hurt the pet industry, but profoundly affect us as parrot owners, I, for the first time in my life, found the need to write my congressman. I let him know disastrously my life would be changed if they passed HR 669 into law as it was written, and pointed out how many endangered species might only survive through captive breeding. With all of the horrors of this world, it was the thought of not being able to live my life freely with my parrots that called me to action. There are other changes that have come about. I have more bird cages than furniture now, and I have learned to enjoy writing my name in the dust that accumulates on top ot the TV after a few days. But for the loud, messy and chaotic creatures they can be, being around them brings me peace and a sense that all is right with the world.